Grift – n. A group of methods used for obtaining money falsely through the use of swindles, frauds, etc. I love the premise of The Grift by Debra Ginsberg: Marina, a woman who has been working as a psychic for years (and a good one at that), suddenly becomes psychic for real, to the dismay of her clients. Ginsberg convincingly portrays Marina’s transformation from fake psychic to real one; in my opinion, this is the most interesting part of the book. Unfortunately, the secondary characters are too two-dimensional for my taste. For one thing, I had trouble believing so many of Marina’s clients would be nearly murderous with rage; it felt like a device used to confuse the reader rather than an organic part of the plot. I disliked the shifting points of view for the same reason—none of the other characters were developed enough to justify focusing on each of them in turn. Finally, the final confrontation was too outrageous to be believable. Ironically, it isn’t Marina’s newfound psychic ability that stretched my disbelief, but rather the rest of the story. In the end, I liked the idea of this book much better than its execution. You can also read the first chapter of the book at The New York Times site. Thank you to Random House for sending me this book to read and review. *The definitions are from the beginning of the book. Sorry to see this one fell flat for you. Yeah, that's a good way of putting it. I was quite disappointed (as I'm sure you can see from my review! ), because the book had such promise, but it just didn't work for me. This wasn't a favorite for me either. It does sound like an interesting premise. It's too bad it didn't turn out well for you. That book worked a bit better for me than for you, Avis, but I know what you mean when you say the other characters were two-dimensional. Hopefully her next novel will be better. This reminds me of a book but I can't remember the title. I remember really liking it though. I liked Ginsberg's other book. But this one sounds like a great idea...but not well written. Alea, like you I still feel drawn to her other books, so I might have to give her another chance. I'm curious about her memoir About My Sisters. 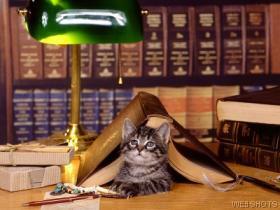 Literary Feline, maybe it just wasn't for me! Myckyee, I hope I don't come across as being too harsh in my review; I just had such high hopes for this one! Oooh, if you do remember, Ladytink, do let me know! Which one of her other books did you read, Serena? I've been meaning to read this book for a while. Thanks for the review! You're welcome, Katherine, I hope you enjoy it!